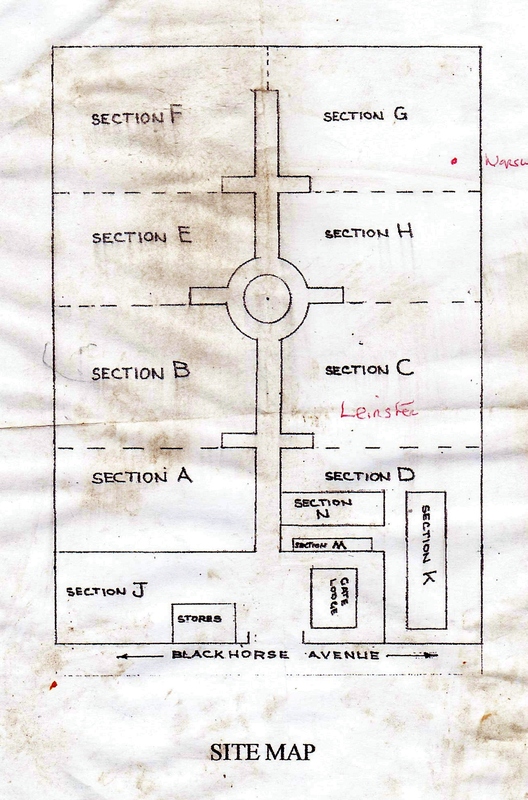 Section H contains just a few scattered graves, so next we shall visit Section C (above & below), where we will find many more victims of the First World War and of the R.M.S. 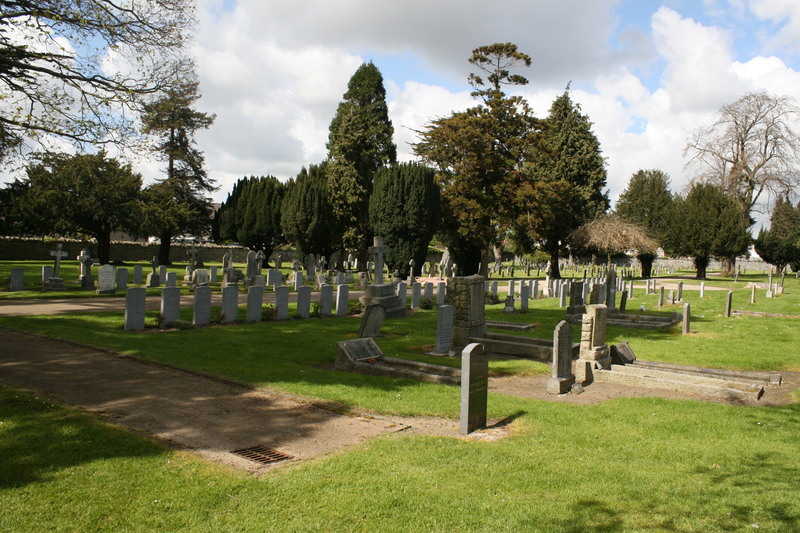 Leinster disaster, as well as a number of casualties of the War of Independence. All the graves in this section appear to be either Church of England or Church of Ireland. 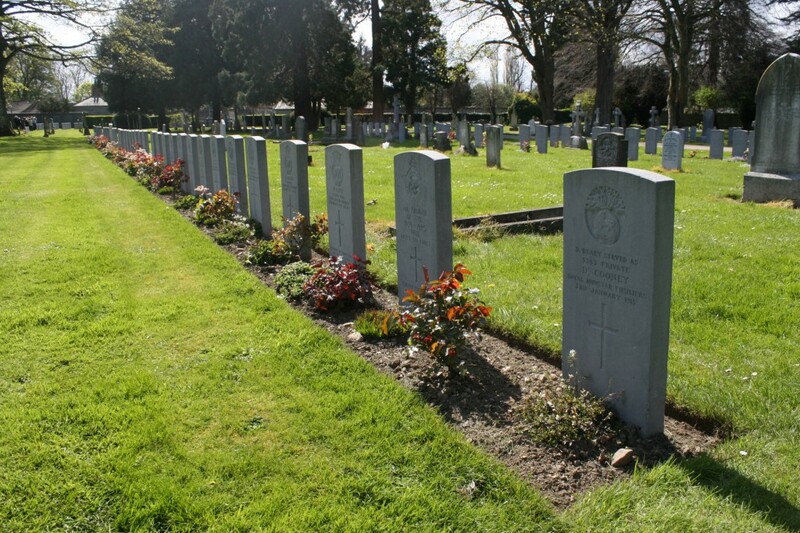 Above & below: There are just twelve Second World War burials in this cemetery, and only one, the R.A.F. man second in line (above) and on the left (below), is unidentified. On the right, Private David Beary, who served under the alias David Cooney, is an early First World War casualty who died on 3rd January 1915. 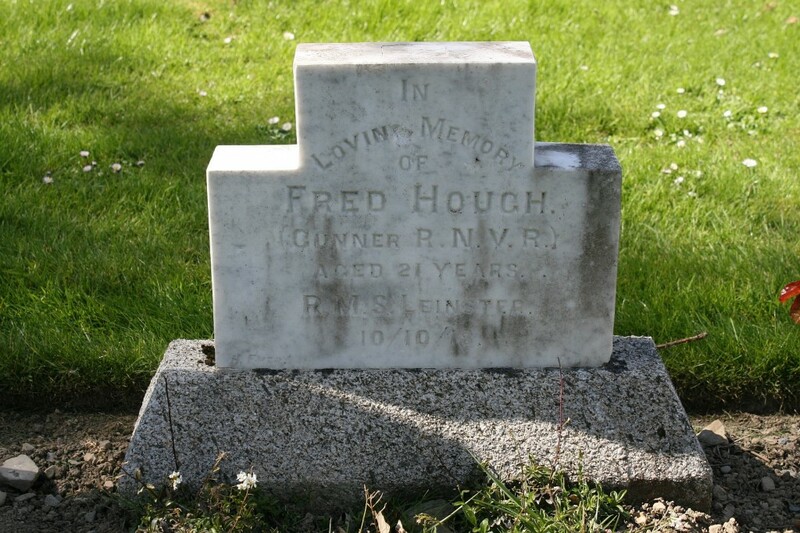 …as was Gunner Fred Hough (the CWGC casualty details list gives his rank as Ordinary Seaman), the only man of the Royal Naval Volunteer Reserve buried here at Grangegorman. You may remember that I mentioned in Part Three that there are only two Navy casualties here that are not associated with the sinking of the Leinster. 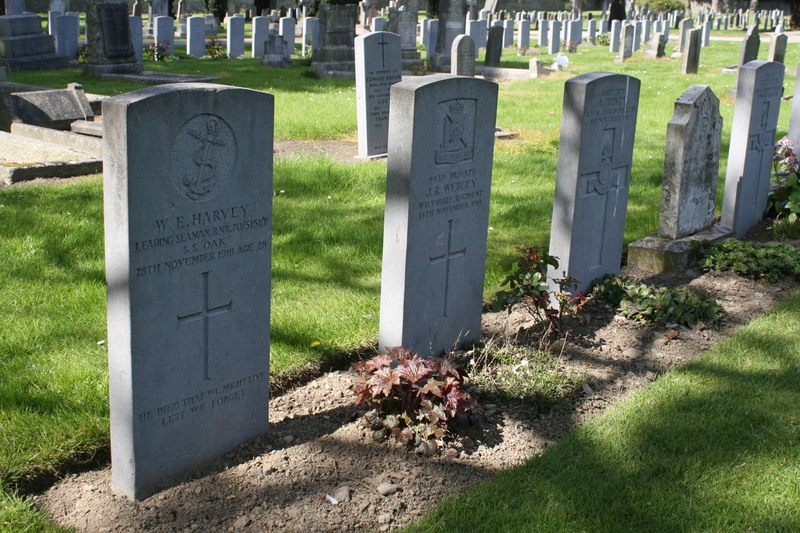 The headstone nearest the camera is the second of these, that of Leading Seaman William Harvey, Royal Naval Reserve, who died on 28th November 1918. 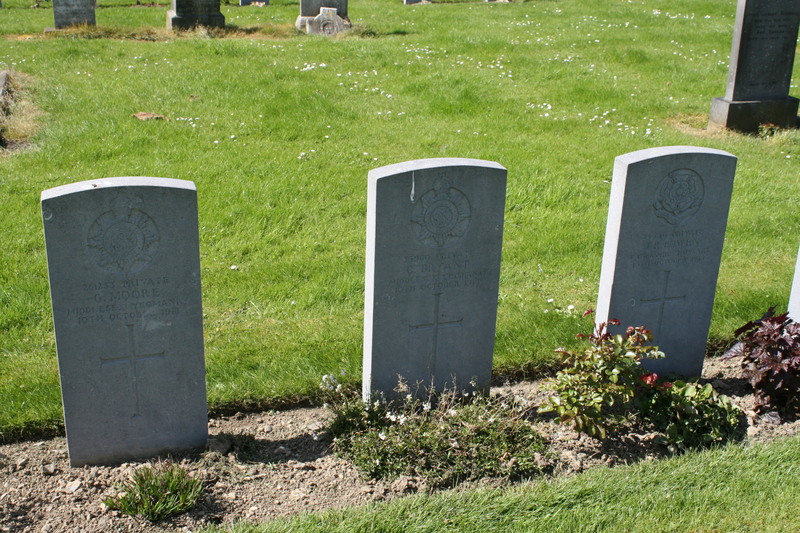 The next two headstones are also November 1918 burials. 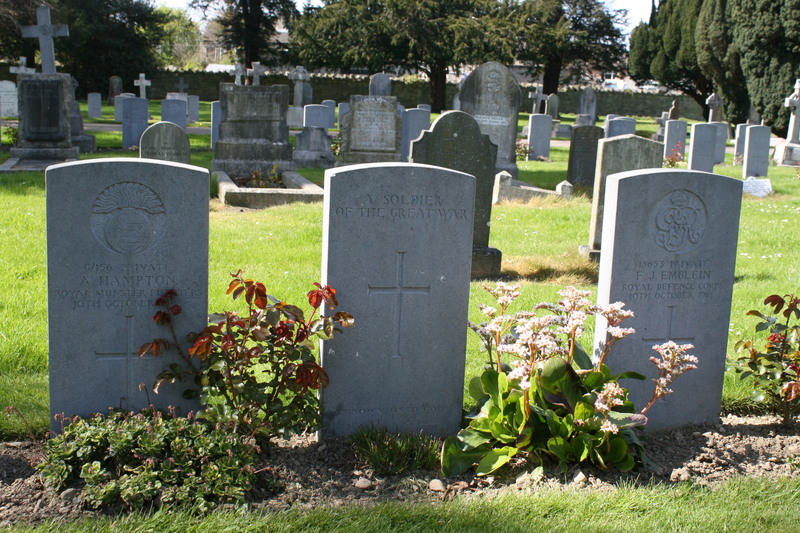 Three Royal Navy men who were killed on the Leinster; the man on the left, Leading Seaman George Leatherbarrow, was a member of the Leinster’s crew. 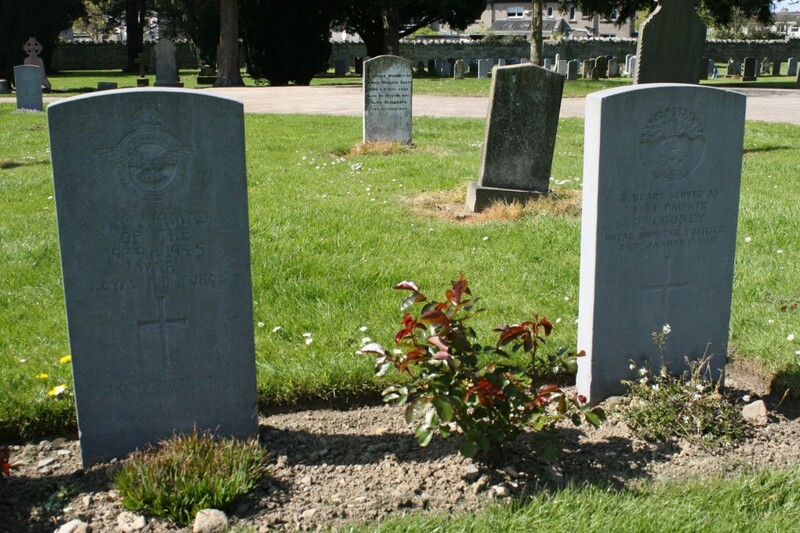 There are just two unidentified First World War burials here, and bearing in mind that the men on either side of this unknown soldier both died in the sinking of the Leinster, one can assume that his fate was the same as theirs. 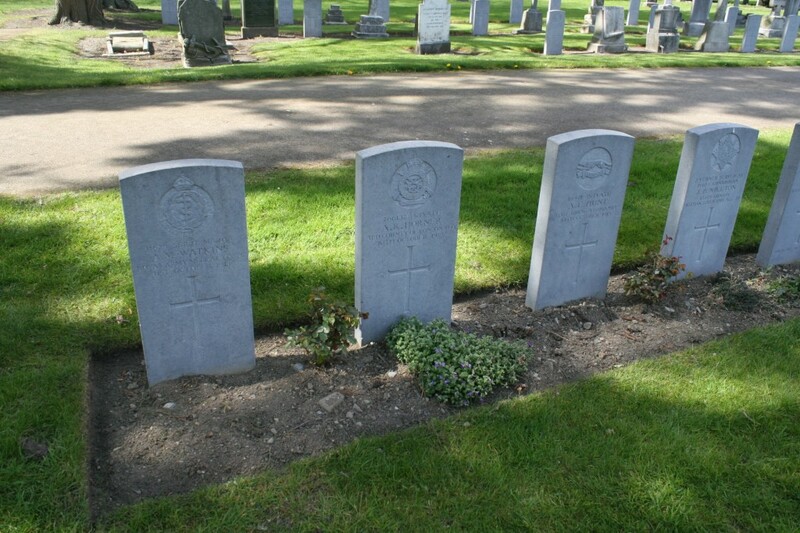 Middlesex and Lancashire men, more victims of the Leinster sinking. 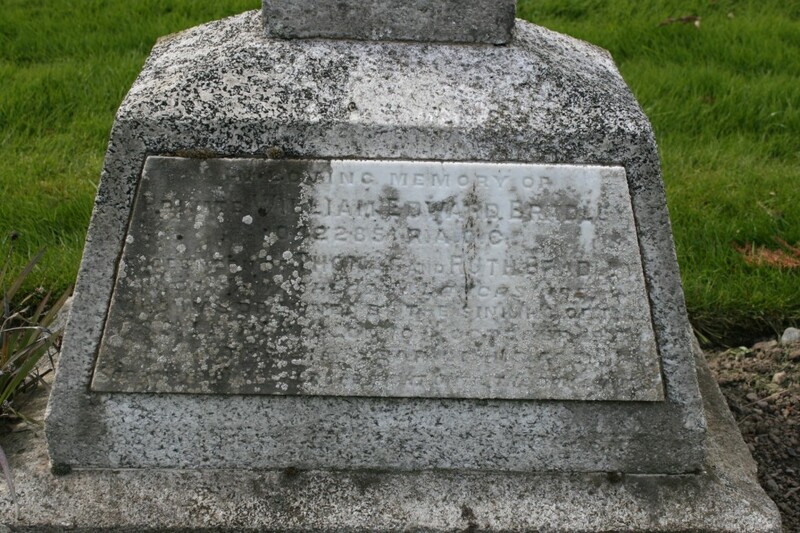 Above & below: Not a headstone, but a memorial to nine men of the 2/1 Yorkshire Hussars Yeomanry who were lost aboard the Leinster. 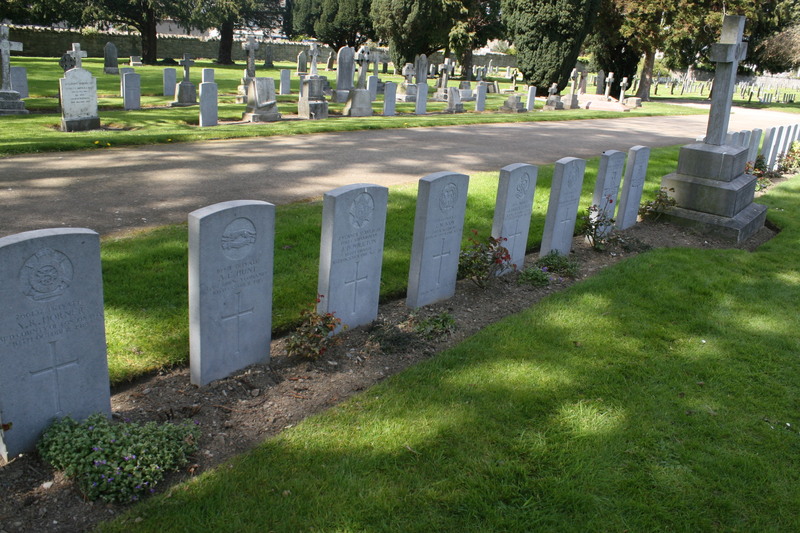 Above & below: The graves in this row are all casualties of the sinking of the Leinster. 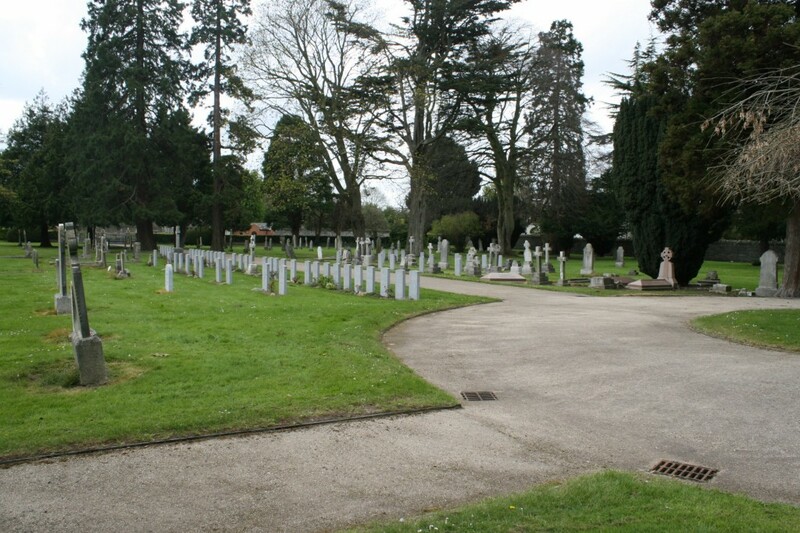 In the background are the headstones of Section B that we visited back in Part One. 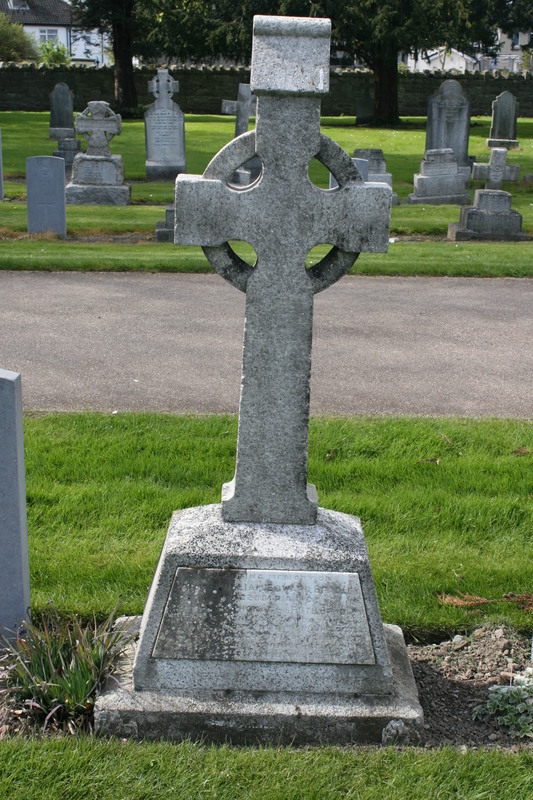 Another man who served under an alias, Private Joseph Verner of the Irish Guards was lost with the Leinster. 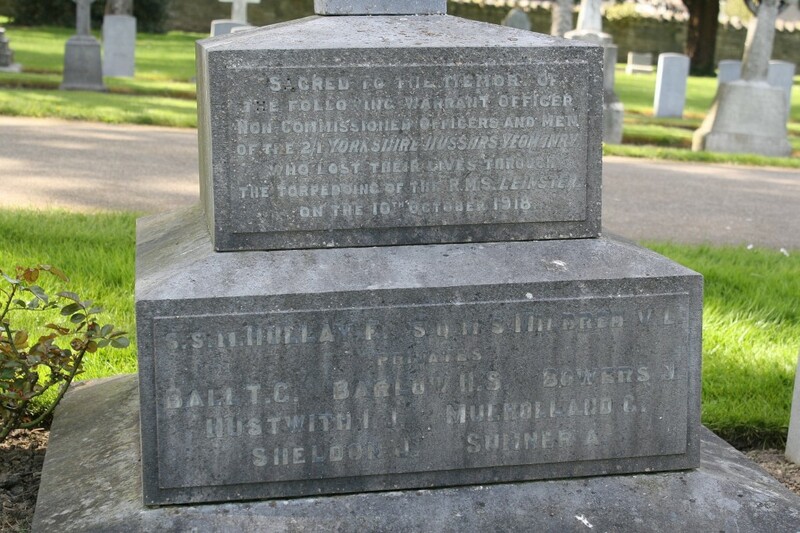 Above & below: Private William Bradley, Army Ordnance Corps, another who died on the Leinster. 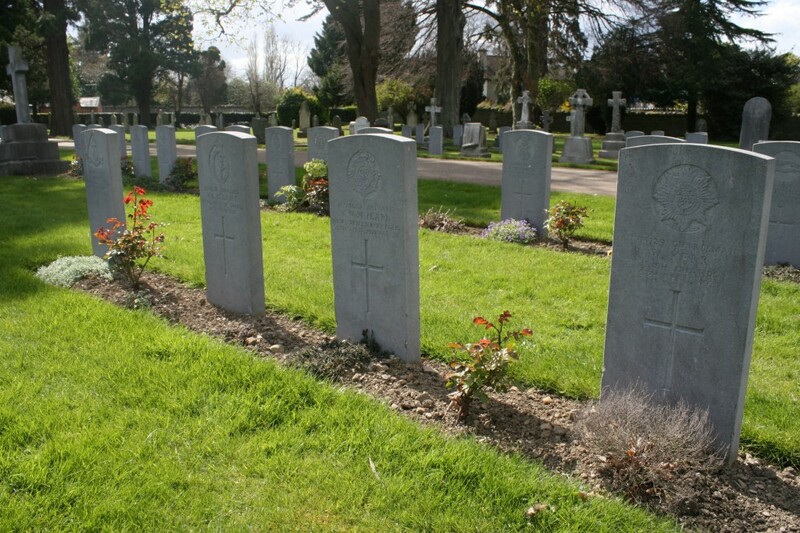 Although his headstone says R.A.O.C., the Royal was only acquired after the end of the First World War. 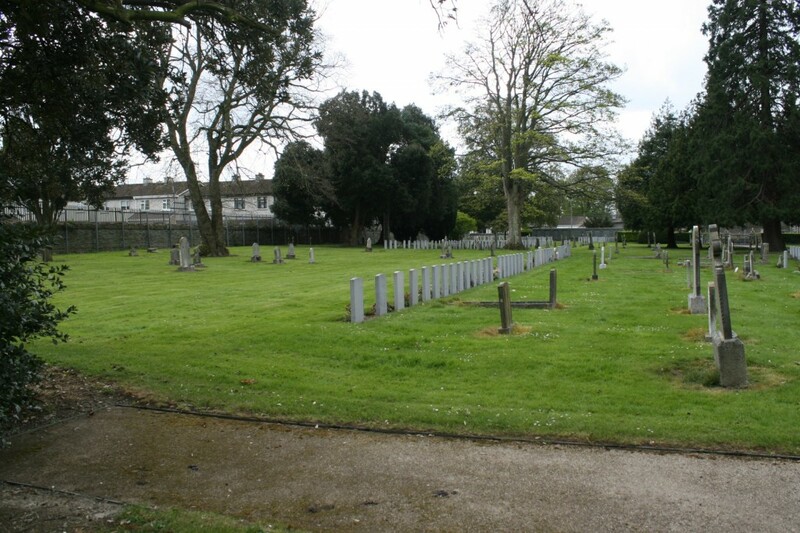 In front of the row of Leinster burials, another row of CWGC headstones contains burials from 1920 & 1921 (see following photos). 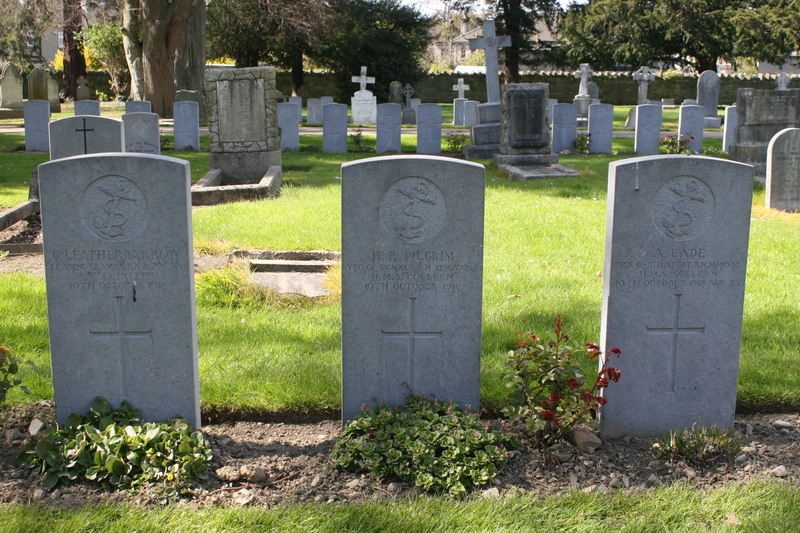 Private Powell (left), died on 21st November 1920. It has been suggested that a soldier’s body, retrieved from the River Liffey on the same day, may have been his. The fate of Private McCabe is unknown to me. 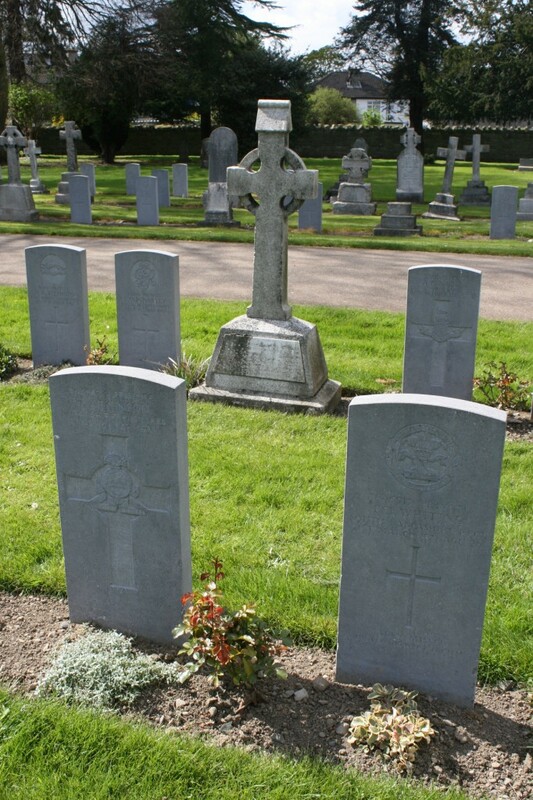 Serjeant Robert Saville, Royal Garrison Artillery, died in Dublin on 29th December 1920. 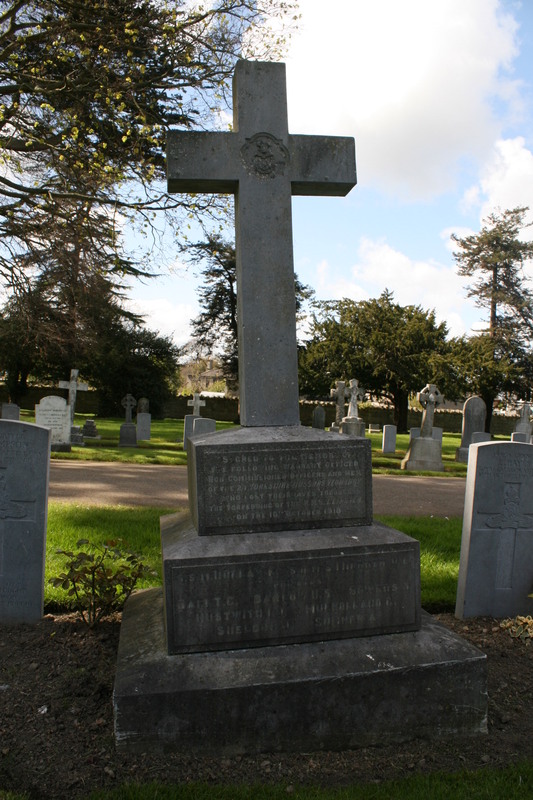 Private John Evans died in Killarney on 30th December 1920. 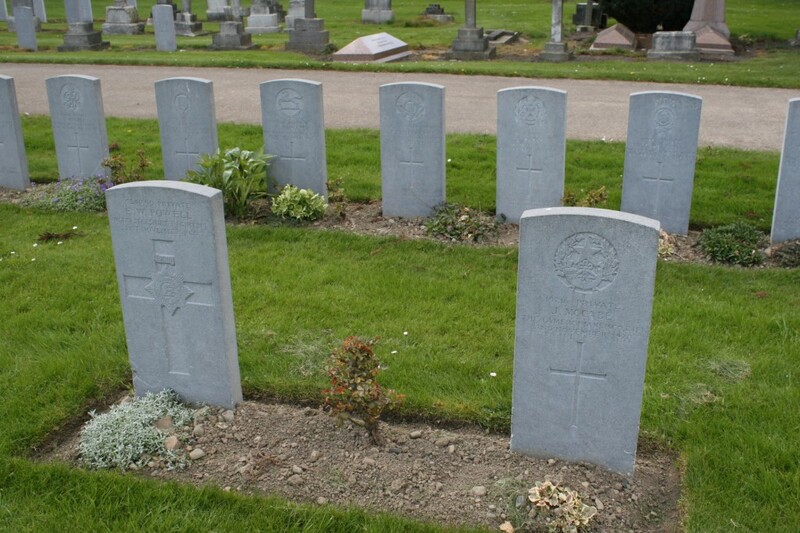 Private Herbert Atkinson, Lancashire Fusiliers, died in Dublin 0n 22nd March 1921. A few days earlier, on 19th March, a lorry carrying a party of South Lancashire soldiers was attacked in Aungier Street in Dublin. Bombs were thrown and two exploded in the lorry, killing two men and wounding six others. Three days later, on 21st March, Private Benjamin Whiting died of his wounds. 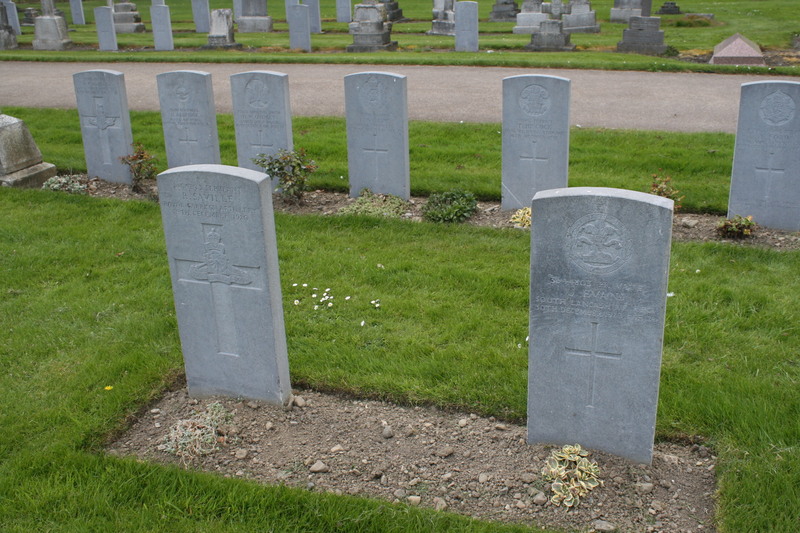 Guardsman William Kerr (nearest camera) of the Royal Irish Rifles was accidentally killed on 5th April 1921 when he fell from a turnstile and fractured his skull. 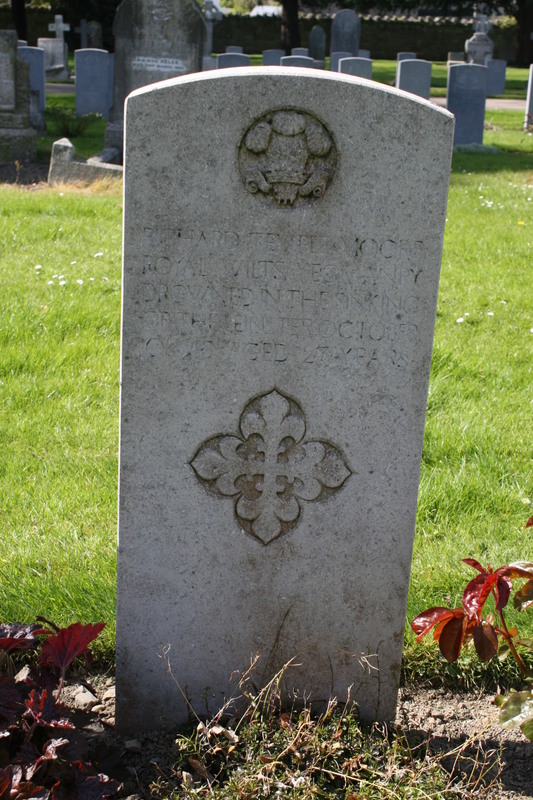 Private Victor Pearl of the Royal Army Service Corps died of illness on 13th April 1921. Signaller Vivyan Montague Lys Georges Fradin de Belabre, born in France but a naturalized British citizen, was wounded as a Lieutenant in October 1917 in France, transferred to the Royal Flying Corps on his return to duty, but for some reason was dismissed from the Service by sentence of a General Court Martial on 12th November 1918, the day after the end of the War. Despite this inconvenience he appears to have participated in the expedition to Archangel in 1919, and later found himself in Dublin where he was shot dead, possibly accidentally, while acting as a despatch rider for the Royal Corps of Signals. A curious tale indeed. 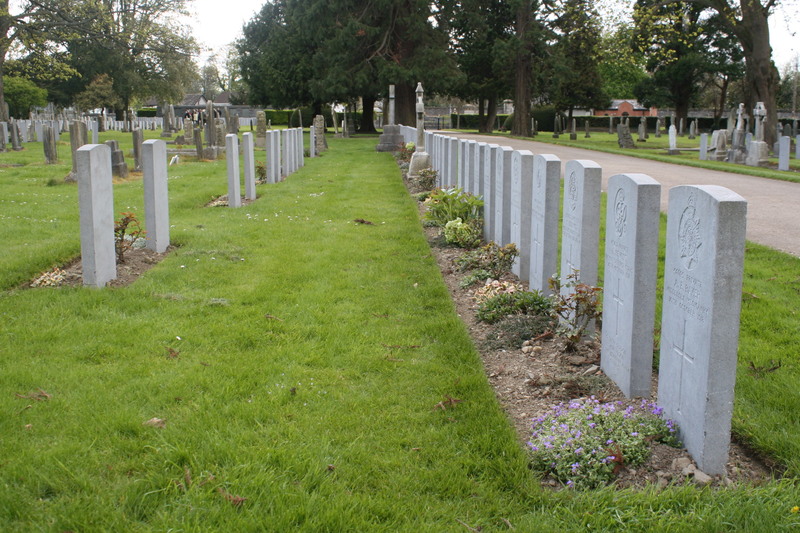 Final look back at the Leinster row of headstones in Section C, with Section B in the background beyond the pathway. Click here for Part Five. 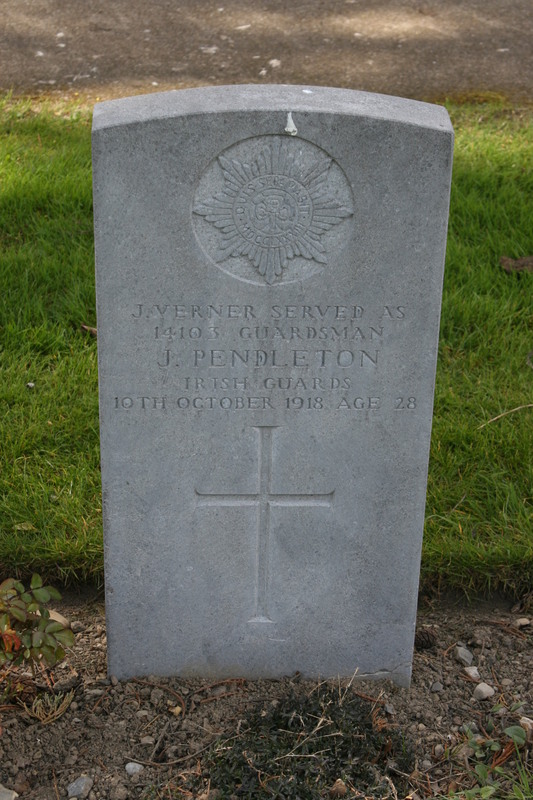 This entry was posted in Dublin Cemeteries with Great War Burials, U.K. Churches, Memorials & Cemeteries - Back in Blighty. Bookmark the permalink. Hey Kath! Always, and I mean always, appreciate your comments. When I’m sitting here late at night tapping away on the keyboard it’s comments like that inspire me to keep this little site going. Keep tuning in! Thank you for a detailed and fascinating piece of research. My grandfather’s CWG photo was a surprise, and I have copied it if that is okay with you. If you prefer that I did not please let me know and I will remove it. He was Benjamin Whiting & my mother was rising 3 in March 1921. Clive GL. Be my guest Clive. If you use it on the net give my site a credit. And glad you found the Grangegorman posts of interest. It’s a fascinating place with so many stories to tell.